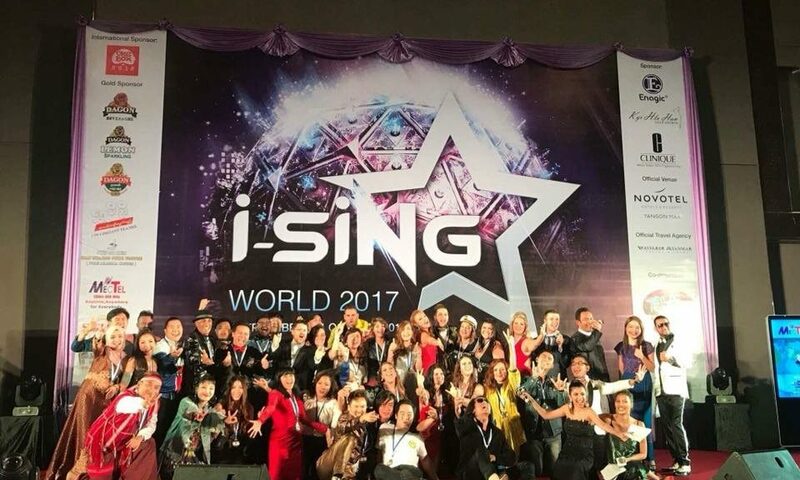 6th Oct 2017, Singapore – The 1st ever i-Sing World Finals had successfully held in Yangon, Myanmar between 28th Sept – 1st Oct, with 24 countries participated including Singapore, France, Malaysia, Austria, China, Ukraine, Hong Kong, Indonesia, Macau, Spain, Philippines, Australia, Japan, Cambodia, Vietnam, Saudi Arabia, US, Myanmar, Canada, Finland and more sending their solos and duets champions to compete for the Champions title and USD10,000 worth of prizes, 1st Runner-Up title with USD$2,500 worth of prizes and 2nd Runner-Up title with USD$1,500 worth of prizes for each Solo & Duet Category. During the 4 days i-Sing World Finals event, i-Sing World 2018’s plans were revealed during the partners’ meeting on the 28th September. Feedback from every country were well discussed to improve i-Sing Management for the years to come. Apart from that, i-Sing Stage was introduced at the meeting to align with i-Sing World business strategy and marketing exposure to help country partners to reach out to more sponsors and audience. 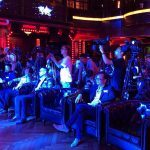 A heart-warming cocktail party was then held later in the evening to welcome all country partners, contestants and guests coming from all over the world. A token of appreciation was awarded to each country partner to recognise their effort and support throughout the year of 2017. The next 2 days of competition was intensive with all contestants from both categories going Round 1 and Round 2 on the first 2 days. Out of 34 contestants from solo category, only 17 qualified Round 3; and out of 8 pairs from duet category, only 4 pairs qualified Round 3. The last day of competition was the game changer with only the top 5 solos and top 3 duets Round 3 qualified Round 4, there were additional 3 wilds cards for solo and 2 wild cards for duets chosen from the previous rounds to heighten the competition standard and giving second chance to contestants who performed consistently well throughout the competition. The decision was tough for the judges and after all scored sheets were collected, it was tabulated in front of all witnesses and i-Sing management to ensure transparency and fairness in this competition. We would like to congratulate the winners as well as all country champions from all over the world again! It was a tough decision for the judges during the 3 days of competition and everyone should be proud of themselves for going this far to the i-Sing World Finals! 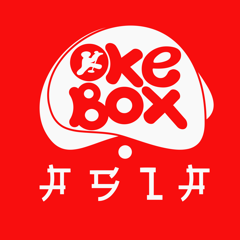 The event would not be possible too without the supports from the sponsors. 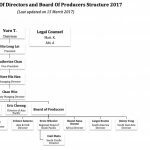 i-Sing Management including Chairman – Mr. Yuro. T, President – Ms. Hio Leng Lei, Managing Director – Ms. Htwe Hla Han and Deputy Managing Director – Mr. Chan Mye Win presented tokens of appreciation to our i-Sing World Finals 2017’s sponsors including International Sponsors – Okebox, Gold Sponsors – Dagon Beverages, Shwe Pyi Oo Tea Mix, Pyin Oo Lwin Nang Myaing Coffee, MecTel, SIGMA Cable Wire, Myanmar Mobile Money, TRISTAR Tyres, Sponsor – Enagic Kangen Water, Kyi Hla Han Golf Design, Clinique, Novotel Yangon Max, Wafarer Myanmar. Apart from the competition, i-Sing World and i-Sing Myanmar also raised the awareness of the underpriviledged in Myanmar that needs help and by supporting Visakha Foundation – a foundation to helps the poor and needy in the country, we are giving back to the community. At end of the 4 days event, i-Sing World and i-Sing Myanmar had donated 1,000,000 MMK to Visakha Foundation with the help and contribution from country partners, contestants and guests and a cheque was presented to the representative of Visakha Foundation. Yet again, i-Sing World is not only a singing competition, but it is meant to gather all talents around the world to exchange culture, language and background and at the same time sharing love, building friendship and family in different parts of the world! It was fun and exciting event with dancing, singing and laughter throughout the i-Sing World Finals 2017! Follow our social media @isingworld for the official footage of i-Sing World Finals videos & photos as well as joining our i-Sing World 2017 Alumni group on Facebook to share your memory with each other and keep in touch and believing in love! 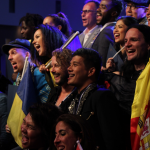 Congratulations to all 54 Country Finalists and Winners at i-SiNG World Finals 2018 in Paris! 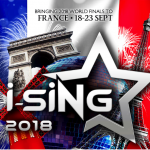 i-SiNG World Participating Countries Doubled this Year with More Than 60 Country Champions Competing in France 2018! 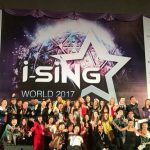 i-Sing World Welcomes International Sponsor and 30+ Country Partners for 2017!